The so-called Holy Fire has burned through 72 square kilometres of dense brush and is only partially contained as 1,200 firefighters battle the blaze. The man accused of setting the fire could face life in prison. Firefighters worked through Friday to keep a growing Southern California forest fire that is feeding on dry brush and trees from reaching foothill neighbourhoods a day after flames roared to new ferocity and came within yards of homes. Gov. Jerry Brown declared a state of emergency for Orange and Riverside counties as the fire carved its way along ridges in California's Cleveland National Forest. Some hillsides were allowed to burn under the watchful eyes of firefighters as a way to reduce fuel and make it harder for flames to jump roadways into communities if winds pick up again. 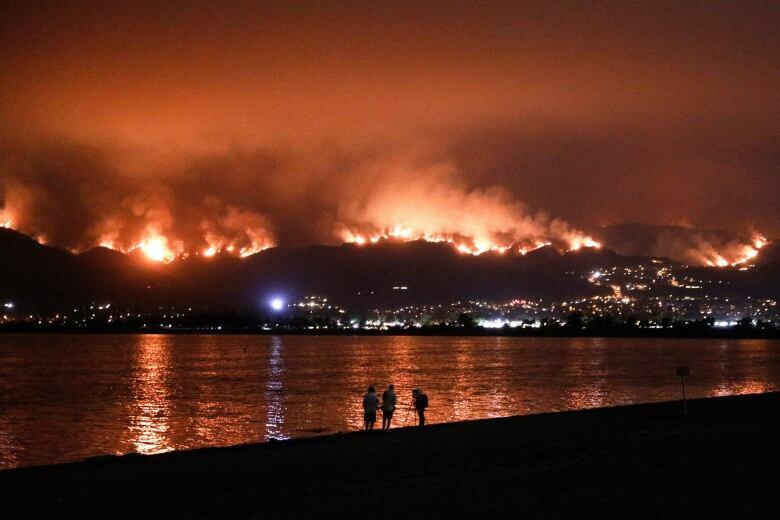 Aircraft dropped liquid that suppresses flames as people sprayed their houses with water from garden hoses when the blaze south of Los Angeles flared again Thursday evening, propelled by 30-kilometre per hour wind gusts. Shannon Hicks, 59, defied an evacuation order and watched in awe as firefighters faced down a storm of flames that descended toward her street in the city of Lake Elsinore. "It looked like a tornado. The flames were just twirling and twirling," she said. "I thought, there's no way they're saving my house. But somehow they did." Hundreds more firefighters joined the battle, bringing the total to 1,200. The so-called Holy Fire has chewed through 72 square kilometres of dense brush and is only partially contained. 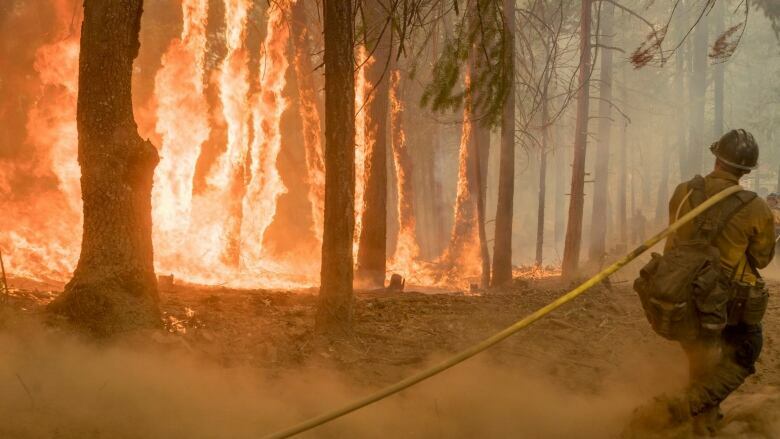 It's one of nearly 20 blazes across the state, which is seeing earlier, longer and more destructive wildfire seasons because of drought, warmer weather attributed to climate change and home construction deeper into forests. Firefighters aided by cooler weather have made good progress against a blaze burning for nearly a month near Yosemite National Park in the northern part of the state. The park was set to reopen Tuesday after a two-week closure, park spokesman Scott Gediman said Friday. Officials also gained more control over two other major Northern California wildfires, including the largest in recorded state history. In the south, Cleveland National Forest officials tweeted that the flames outside Los Angeles were growing as fast as crews can build lines to contain them. "We continue to actively engage, but cannot get ahead of the fire," the statement said. Teresita Reyes was among some 20,000 people forced to evacuate, saying she was attending a wedding Wednesday when she received the order. It is nerve-wracking and unreal," she said. "We were on pins and needles for a little while there because it got real close." The fire was deliberately set. A resident of the small community of Holy Jim Canyon in the national forest has been charged with arson and other crimes and appeared in a jailhouse courtroom Friday. 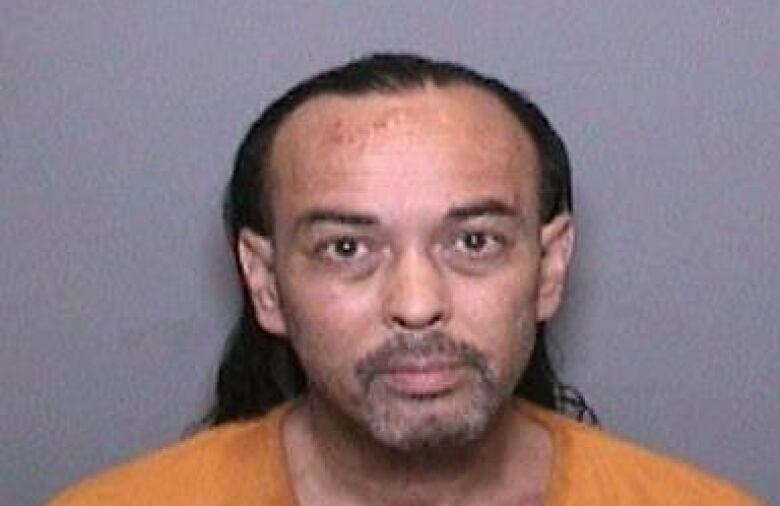 Forrest Clark, 51, made several outbursts, claiming his life was being threatened. A court commissioner postponed his arraignment until Aug. 17 and ordered bail to remain at $1 million. "May I pay for that immediately?" asked Clark, who could face life in prison if convicted. At one point, Clark covered his face with his long hair and later stared directly at a camera providing a video feed to reporters outside the courtroom. Michael Milligan, chief of the Holy Jim Volunteer Fire Department, has told the Orange County Register that Clark had a decade-long feud with neighbours and had sent him threatening emails last week, including one that said, "This place will burn." The fire, named for the canyon where it started, destroyed a dozen cabins after it broke out Monday. Firefighters were trying to keep flames away from Santiago Peak, where critical communication infrastructure is located. Crews turned a corner in their battle against Northern California's Mendocino Complex Fire, the largest-ever in California, getting it halfway contained. The fire more than 160 kilometres north of Sacramento has destroyed more than 100 homes and blackened an area about the size of Los Angeles. remote and rugged forest land. The fires all grew explosively in the past two weeks as winds whipped the flames through forest and rural areas full of timber and brush that is bone-dry from years of drought and a summer of record-breaking heat.